Came home today at 5:05 p.m. from staying with Mother to find hubby sitting in his recliner clutching the arm rests. He looked awful and I felt his forehead. Temp was 100.7! I tried calling both the doctor he saw yesterday and our family physician he saw today, but, of course, both offices were closed for the day. I pulled him out of his chair and pointed him in the direction of the car and took him to the ER. He had an infection and is totally miserable! We got antibiotics and will revisit doctors tomorrow. Meanwhile, Mother continues about the same. No real improvements at this point although the doctor did call in a specialist who came by this afternoon. My debut on NPR is now available at http://www.hppr.org/hpw.html. Just scroll down to the picture of my book and click on the green title. You can listen to my response to the interviewer's questions and also hear my granddaughter, Em, respond to the interviewer's question about growing up in Pampa, TX. That was an exciting discovery today! I am so pleased with the way it turned out. Met with the doctor this a.m. and he is not too worried about the racing heartbeat episode, but the big concern this a.m. is that Mother's lungs have filled with fluid again. He said that Mother evidently likes him too much and wants to stick around the hospital a few more days. That's all we need--a comedian for a doctor. Actually, he did get me to laugh, so I guess he is pretty good to have around now and then. Just got a call from the hospital that Mother had a dangerously high heart-racing episode so she will NOT go home tomorrow. Ah well! I feel like I am on a roller coaster! Whew! Well, I guess we dodged another bullet on this one. Friday the doctor and I both thought things looked really dismal and they were even worse on Saturday, but today the doctor and I scratched our heads in amazement because all of Mother's problems seem to have reversed themselves (power of prayer??) and he is sending her back to the Summit tomorrow. She will be on the skilled nursing floor for a time and she has a lot of strength to regain, but the doctor says she has nothing terminal at this point. Meanwhile, back at home hubby is very irritable and "irritated" (in more ways than one) because of his recent urinary tract blockage. We see the urologist tomorrow, so maybe things will improve for him. The only glitch is that Mother will probably be released from the hospital about the same time hubby is due at the doctor's office. And I have not yet learned the art of bi-location--ding it! My sister came in last night and we spent quite a bit of time with Mother. It was good to have another person to consult with and help me with decisions. However, she had to return to work tomorrow, so I put her on the plane this afternoon. And, my sister-in-law in NM continues to have serious health problems that are keeping her in the hospital, in serious pain, and stumping all the medical professionals. My brother is wearing down after two weeks of this. Fortunately, he is getting good news from our neck of the woods and one of his sons has flown in to be with them this week. Thanks to everyone for the wonderful prayers and support. My Frugal Friday post went by the wayside as I spent my time at the hospital. We were supposed to take Mother back to her residence at the Summit in the morning, but when I arrived at the hospital it was evident that Mother was not going anywhere. Her lungs had filled with fluid overnight and the doctor just shook his head. He said we were walking a tightrope at this point and things could go either way at any time. During the day Mother had terrible periods of pain, coughing and congested breathing interspersed with periods of wakefulness where she was congenial and talkative. She woke up before lunch and dinner and looked forward to eating although she picked through her food, tasting things that looked good and rejecting other things, leaving them untouched. Although the day at the hospital was difficult, the people caring for Mother were wonderful. The doctor said he was off over the weekend but would probably come in to take care of Mother. The two nurses assigned to Mother were sweet, attentive and caring--both with Mother and with me. Our priest came by to give Mother a blessing and gave me a boost along with a chuckle or two. My poor, ailing husband came to let me cry on his shoulder. My nephew came to lend his support although he is also concerned about his mother who is very ill in the hospital in New Mexico. We could use your prayers at this point because--bottom line--the outcome is really in God's hands. Another visit to the ER in the early hours of this morning and I am beginning to recognize some of those faces from my visit with Mother day before last. This time it was my husband with a severe urinary tract problem. Five hours later he was released to come home and we have moved through the afternoon like zombies because we were up most of last night. I finally got upstairs to visit Mother in the same hospital this morning and found that the doctor had already seen her. She will be released tomorrow to return to the Summit, but this time to the skilled nursing floor for a couple of weeks. She needs the close attention that they will give her until she gets her strength back again. And so, I am going to fall into bed now and say a few prayers for all who are sick--including my sister-in-law in Albuquerque who was admitted to the hospital with a severe stomach problem. Enough already! Yesterday, when I went to visit my mother it was evident that she was very sick. After consulting with the doctor at the retirement center where she lives, it was determined that she was dehydrated, kidneys were not functioning, and potassium level was dangerously high--hospital time! The Summit called an ambulance and I went outside to see her loaded up. Standing there by my car was a good friend whose father also lives at the Summit. He put an arm around my shoulders and stayed there with me while Mother was loaded. His eyes filled with tears because he has had his share of watching the same scene with his dad over the last few years. I needed his strength and strong arm at that moment. I arrived at the hospital ER and in walked my nephew, my brother's son. He stayed with me all the time Mother was processed into the hospital, saw that I got something to drink and ordered something for us to eat. His support and calmness was invaluable during the 3-4 hours we sat in the ER. While we were in the ER a doctor walked up and I recognized him as the doctor who treated Mother the last time she was in the hospital--two years ago. He said he thought he recognized us and then left. About half an hour later he came back and said "July, 2007!" That was the last time he treated Mother and he said he had reviewed her case, entered all her data and ordered her treatment. He said she was serious but he thought she would be okay. He said he would see me in the morning and left. After he had gone the nurse said that it was strange to see him in the ER--especially that late in the evening. I like to think that he was just another one of the sweet "guardian angels" who showed up to take care of us on a difficult day. Today Mother is much improved and may possibly be released from the hospital either tomorrow or Friday. The doctor said he would like to get her back to the Summit before the weekend. 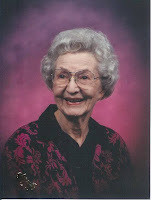 Tonight I put her back in her guardian angels' care and pray that she will indeed go "home" before the weekend. Thanks to all who have been praying for her! Last week I went to Amarillo to record a story from my book, Growing Up in the Texas Panhandle, for NPR. Mary Palmer from High Plains Public Radio contacted me about a month ago and wanted permission to have someone record a story for her and, after much thought, I volunteered to be the reader for the recording. The experience was actually an interview about memoir writing and was very exciting and the recording even includes comments from my 9-year-old granddaughter, Emma. Mary Palmer tells me that we can hear the broadcast in the Amarillo area on High Plains Public Radio (105.7) this coming Friday at 10:30. After the broadcast the program can be found at the following link: http://www.hppr.org/hpw.html . The program is called High Plains in Words. I saw this prayer this morning and it expressed exactly what I needed to hear! Killing Time--How do I kill time? Let me count the ways. By worrying about things over which I have no control. Like the past. Like the future. By harboring resentment and anger over hurts real or imagined. By disdaining the ordinary or, rather, what I so mindlessly call ordinary. By concern over what’s in it for me, rather than what’s in me for it. By failing to appreciate what is because of might-have-beens, should-have-beens, could-have-beens. These are some of the ways I kill time. Jesus didn’t kill time. He gave life to it. His own. I was at a loss for a topic for today's FRUGAL FRIDAY post until I read two articles about ways to curb impulse buying this week. 1) One suggestion was to write down an expensive item that you want on a small sheet of paper and put it on your refrigerator. Begin to look for the item in numerous places to find the lowest price. This particular author talked about wanting a $500 high chair (Mercy!). They went home, put the item on a sheet of paper and attached it to the refrigerator. They began searching for the best place to buy the high chair and finally found an identical high chair at a garage sale for $30 a couple of weeks later. 2) Another suggestion when you want to buy something expensive is to put it on your refrigerator with the date on it. Wait for at least 30 days after you put it on the list and then reevaluate how much you need the item. You may find that you buy a lot less with this system. 3) A third suggestion is to pull a muscle in your back and have the doctor tell you to lay low for 4-5 days. That happened to me on Tuesday when I was loading one of those cloth bags that the store clerk filled chock full of canned goods. I swung it from the grocery basket into the trunk of my car and I almost fell into the trunk with the weight. I should have just let it go, but I was hanging on for dear life and torqued a bunch of things in my back. That is keeping me out of stores for a while. Ouch! But it is much better than it was a couple of days ago. Thank goodness! I went to the Texas Panhandle for the weekend and had a wonderful time. Every minute was filled with excitement, new experiences and adventure. First I had a visit and lunch with wonderful friends at Amarillo National Bank. My next adventure while I was there was to walk across the street from ANB and visit the High Plains Public Radio recording studio. I was to meet Mary Palmer who was driving in from Kansas to talk to me about recording something from my book for NPR. I arrived at the studio a bit early. Em, my 9-year-old granddaughter, elected to go with me, so we had time for a nice visit before Mary Palmer arrived. Once she arrived she talked to me about my book and what it was like to self-publish a book. I told her that it had come about because of my memoir writing classes and she decided that should be the focus of our interview. Her manner made me very relaxed and we "chatted" with the big microphone up against my mouth for the better part of an hour. At the end of the interview she invited my granddaughter to comment about growing up in the same area where her grandmother had grown up. Em stepped up to the microphone and answered Mary's questions like a pro. I was very impressed and proud of her. Our interview will be broadcast in the Panhandle area on September 25 at 10:30 a.m. Fortunately, I will be there again that weekend for my high school reunion, so I will gather Em and family around and we will listen to this exciting (at least for us!) radio broadcast. I will post the link to the broadcast for other areas of the country when Mary sends it to me. My next adventure was to attend the dedication of the new St. Mary's Church in Amarillo. The church burned about three years ago and this was a momentous occasion for everyone there and for our family. My mother attended St. Mary's school when she was in the 8th grade. Fr. Smyer, the pastor there for many, many years had been a childhood friend of my dad's and played golf with him in his later years. While there I saw my parents' former pastor and the new bishop who had been our pastor several years ago. The new church is beautiful and the ceremony was lovely! Early Saturday morning we got up to attend Son #2's triathlon at Lake Tanglewood. The weather was very cool with a bit of drizzle at first but clearing before the race began. I had never attended a triathlon before and it was exciting because my son was participating. Below is a picture of all of us. Note the matching shirts we all wore in support of WB (Son #2's nickname--it stands for Wrangler Boy). The girls are helping WB stretch before the triathlon began. And WB is being congratulated by his girls upon completion of the race! Congratulations, Son #2! I am proud of you--and your girls! In the afternoon I was treated to a tour of their place in the country and a view of some of the wildlife that visits their front yard. The picture taken from their front yard looks like it might make a terrific painting! I hated to return home on Sunday, but was consoled by the thought that I will return in two weeks for my high school reunion at the end of September. I am going to Amarillo to record a story from my book, Growing Up in the Texas Panhandle, for NPR. A woman contacted me about a month ago and wanted permission to have someone record a story for her and, after much thought, I volunteered to be the reader for the recording. I will have a new experience of being in a recording studio and reading one of my stories for lots of people to hear. I will also get to spend the weekend with my #2 Son and his family with three of my granddaughters. AND I will get to see Son #2 participate in a triathlon for the first time. I will also get to visit and have lunch with my good friends at Amarillo National Bank--these people are the greatest!! I am so proud of Son #2. 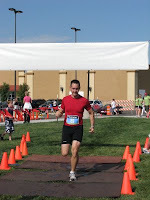 He is running in a triathlon on Saturday to benefit the Children's Miracle Network. This is the second year he has participated in the triathlon and he explains why below. "On September 12, I am competing in the fourth annual Lake Tanglewood “Tri to Make a Difference” sprint triathlon benefiting the Children’s Miracle Network of Amarillo. I am once again excited about this opportunity to challenge myself physically and to contribute to an organization that does so much to help sick children and their families. This year’s “Tri to Make a Difference” campaign will help purchase desperately needed equipment for sick children in the Neonatal and Pediatric units of Baptist Saint Anthony’s Hospital, a beneficiary of the Children’s Miracle Network. I am asking for your help in sponsoring me to raise money for the special equipment. As you may or may not know, Emma, our oldest daughter, spent a week in neonatal intensive care after she was born. This was a very difficult and unexpected time for us as new parents. However, because of the excellent care she received, 9 years later she is thriving. Please join me in supporting the wonderful staff and other children that need this specialized care. Please help me with a generous donation ! I feel strongly about donating to this organization because 100% of all money raised goes directly toward meeting needs of children and their families in the high plains region. You can help support me by making a secure online donation by clicking on the following link http://my.e2rm.com/personalPage.aspx?registrationID=725203 . If you are unable to contribute financially right now, I ask for your thoughts and prayers for me and the other athletes competing next Saturday. Thank you for supporting my efforts and making a difference in the life of a child! Well, I guess this "frugal thing" has caught on in our society! I went to our local Barnes & Noble this evening with my husband for our date night. Our favorite thing to do on Friday night is to go out to eat (using a coupon that entitled us to one entree and the second one at half price) and then stop by B&N for a look at the latest books. Tonight I saw several that I want to read so I wrote down the names of the books and authors and will soon go to our public library to check them out--at no cost to our pocketbook. The thing that caught my eye was a table of books labeled "Frugal Living." I immediately went to see what was there. They had books on traveling cheaply, saving money on food, shopping wisely, simple living, making your own mixes, and even preparing your mind to live in a more frugal manner. I guess this is what our economy has led us to--a more frugal mindset. I think the past year or so of focusing on frugal living has made me much more aware of ways to save money. Since my husband and I are living on a retirement fund that has no cost-of-living raises built into it, (AND the government takes a portion of that each year!) we have definitely become much more aware of living frugally! Perhaps I need to go back to B&N next week, pull up a chair near that "Frugal Living" table in B&N, and begin taking notes! A special friend, Sharon at the Heart and Craft of Life Writing, gave me an award that I am very proud of--the Superior Scribbler Award! I am very proud of this award. One of the requirements of accepting the award is that I have to pass it along to five other noteworthy bloggers, which is going to be difficult because I have so many superior writers on my blog list. Thanks, Sharon! 1) Each Superior Scribbler must in turn pass The Award on to 5 most-deserving Bloggy Friends. 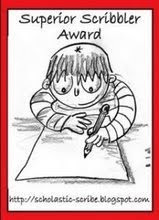 2) Each Superior Scribbler must link to the author and the name of the blog from whom he/she has received the Award. 3) Each Superior Scribbler must display the Award on his/her blog, and link to this post, (http://scholastic-scribe.blogspot.com/2008/10/200-this-blings-for-you.html) which explains the Award. 4) Each Blogger who wins The Superior Scribbler Award must visit this post and add his/her name to the Mr. Linky List. That way, we’ll be able to keep up-to-date on everyone who receives This Prestigious Honor! 5) Each Superior Scribbler must post these rules on his/her blog. Thank you. COPYRIGHT NOTICE: I reserve all rights to the work published here. 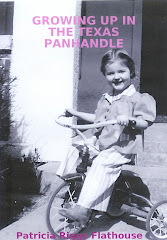 I am a retired educator, a writer, and a grandmother. I enjoy traveling and experiencing new places and I love being with family members and friends.